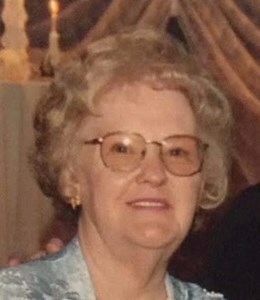 Newcomer Family Obituaries - Glennasue M. Brewer 1946 - 2018 - Newcomer Cremations, Funerals & Receptions. Brewer, Glennasue M. age 72, of Green Township, Ohio passed away on Monday, November 26, 2018. She was born in Walton, Kentucky on October 25, 1946 to Robert Roscoe and Gladys A. Colston (nee Baum). She was preceded in death by her parents; her sons, Bobby and Mike Brewer; her brothers, Buzz, Charles, and James; and her sisters, Marilyn and Catherine. Glennasue is survived by her beloved husband of 52 years, Gene Brewer; her daughter, Gina Brewer; her brother, Donald Colston; her grandson, Josh Brewer; and a host of other family members and friends. In loving memory of Glennasue, contributions may be made to Bridgetown Church of Christ, 3854 Race Road, Cincinnati, Ohio 45211. Visitation will be held on Saturday, December 1, 2018 from 11am until the time of service at 1pm at Newcomer Funeral Home, 3300 Parkcrest Lane, Cincinnati, Ohio 45211. Burial will follow at St. Joseph New Cemetery. Add your memories to the guest book of Glennasue Brewer. I would like to express my sincere condolences for your family’s loss. Losing a loved one in death is one of the hardest things anyone has to go through. However, this pain and grief is not something our loving God ever wanted us to experience. He promises that soon all sickness, pain, suffering, and even death will be done away with forever (Revelation 21:3,4). I just spoke with you a little over a week ago, as you thanked me for taking such good care as Gina's service provider. But during that same conversation, you prayed for MY husband, who is having health issues. I was so very thankful to you. Now, you have gotten your wings and entered those pearly gates! I'm saddened. My heart aches. I'm in a state of shock. But those are all selfish feelings. What's more important is my sincerest condolences sent to your family, and prayers that they find comfort in knowing that you are at rest and peace. I promise to help Gina however I can, and try to comfort her, lift her burdens and help her to smile and enjoy each day we spend together. I pray that your husband finds comfort as well. May the Lord be with you and your family, until you reunite. Our hearts are heavy with your loss. Glenna shared a special place in our hearts as she twinkled our mother's toes and made her laugh in those special heart warming ways of hers. She was kind and caring. We will all miss her very much, especially our mother - Jean Rodgers. Thank you for sharing her with us for so long! I'm still in shock of your passing, my heart is broken and I can't believe you are gone. I know you are in heaven, and rejoicing with your boys and all the other love ones that we have lost. My life without you on earth will forever be changed, but I know and believe that we will re-unite again one day in heaven and oh what a time that will be. Until then, I will think of you all the time, I was so blessed to have an Aunt like you and I thank God for blessing me with you.